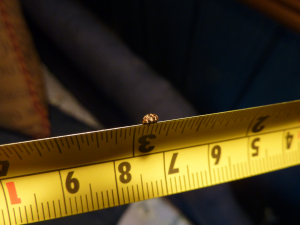 Observation - Three Millimetre Insect! - UK and Ireland. Description: Can't add anything to what the picture shows!! Markings looked distinctive. Need a better camera if I am going to do more of this! Can't add anything to what the picture shows!! Markings looked distinctive. Need a better camera if I am going to do more of this!